Comments: An excellent full folio print, showing the very ancient pyramids of Dashour and Saccara in the distance. 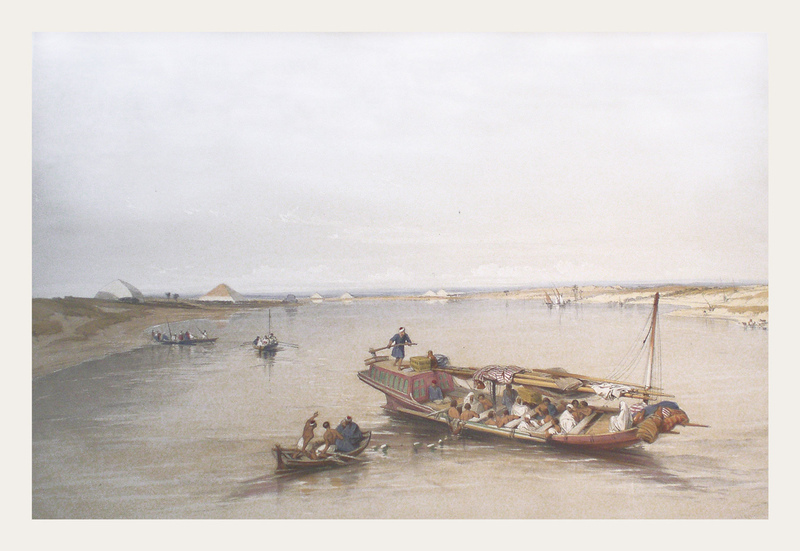 Title: Slave Boat on the Nile - View Looking Towards the Pyramids of Dashour and Saccara. Condition: Very Good. One 2" crease in the upper left sky. Image: 13 15/16" x 20 1/16"